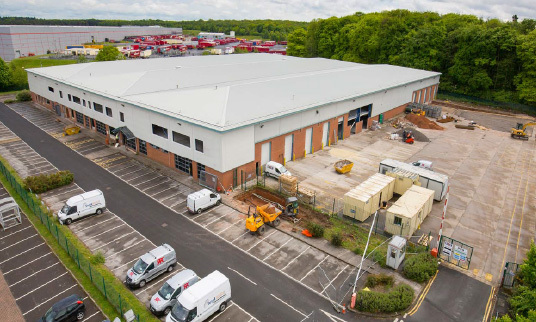 C Le Masurier Limited have recently acquired another freehold modern distribution warehouse, extending to 107,990 sq ft, on the Manton Wood Business Park north east of Sheffield which is also home to B&Qs UK distribution warehouse. The tenant, Greencore Food To-Go Ltd, is the largest sandwich maker in the UK producing over 350 million sandwiches / wraps each year and the tenant has recently undertaken significant fitting out works, costing over £3.5m, to complete their UK HQ. Le Masurier paid £5.7 million, equating to an initial yield of 6.25%, with the vendor Emerald SV Ltd, a Jersey based asset management company, advised by JLL and AHBN advising Le Masurier.